Dual Helix Wort Chiller. 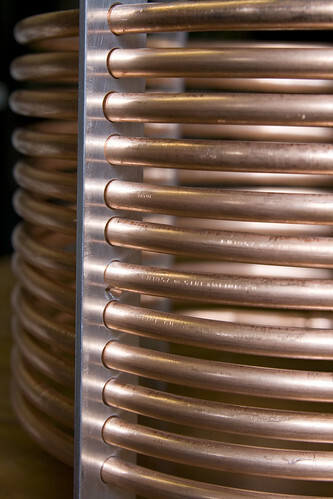 A couple of curly coils slotted together to form an Immersion cooler. 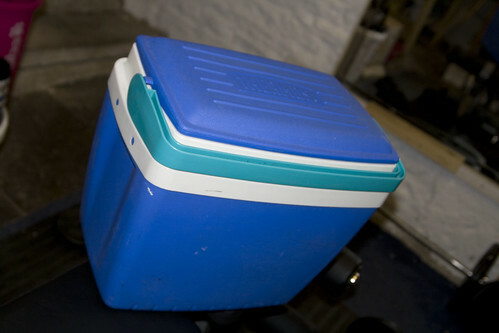 45L Igloo Coolbox with Stainless False Bottom. 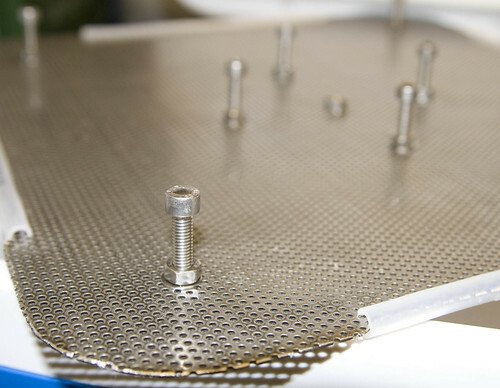 Putting a Stainless Steel False bottom in an Igloo Coolbox. Building a 45 Litre Igloo Mash Tun. 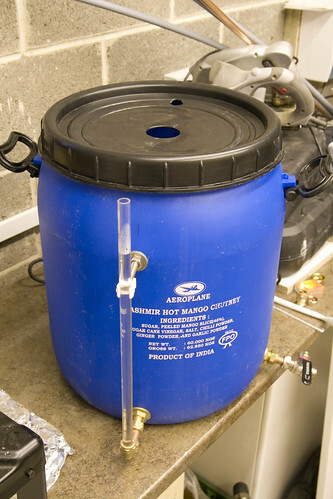 – An Igloo coolbox converted with a 22mm copper manifold and 15mm ballvalve tap into a 45 litre Mash Tun. Building a dual purpose Copper / Hot Liquor Tank from a 50 Litre Stainless Steel stock pot and two Backer kettle elements. – This Copper / HLT was not built for me, though I may upgrade to one of these stock pots in due course. 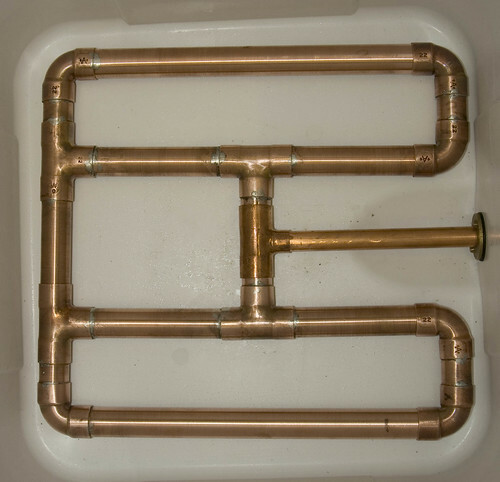 Aluminium Stock Pot to Copper Wort boiler Conversion – This is my Current Copper Boiler and has always worked admirably draining down to the last cup full with the Syphon effect. 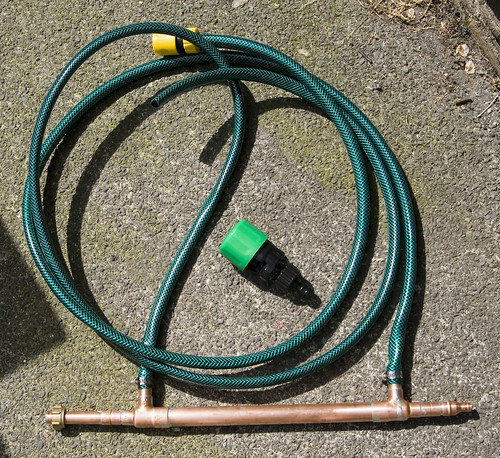 Thermos Coolbox to Mash Tun Conversion – Works pretty well, I opened the copper manifold slots up with a 1mm grinding disk in the angle grinder, its next incarnation will use 22mm copper pipe rather than 15mm so the slots have more open area to the Mash. 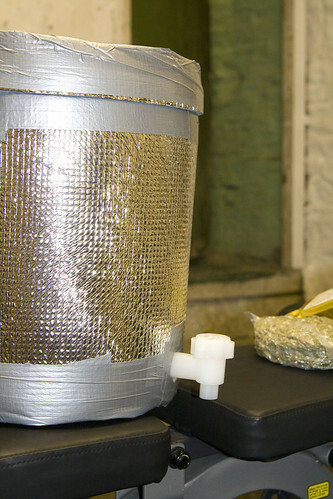 An experiment in Counterflow wort Cooling – This was just an experiment, shame it didn’t really work well enough! 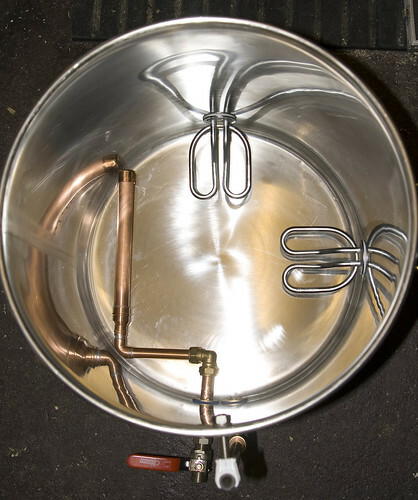 Mini Mash Tun with False Bottom – I changed the plastic Plate for a Copper manifold, this generally works pretty well, though best to keep a nice steady run-off with either of my Mash Tun’s copper manifolds. 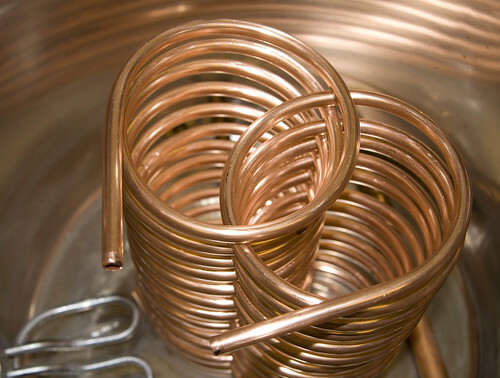 Making a copper coil Immersion Cooler – This is pretty sweet really, does the job with no fuss, simple and pretty cheap to construct. Mango Chutney Hot Liquor Tank (HLT) – This is going to be my temperature Controlled Hot Liquor Tank, running 2 Budget Kettle Elements, I may fit a small pump to stir the liquor with to ensure a good even temperature, also probably fit a Hop stopper so I can brew a full 9 Gallon cask brew-length if needed. 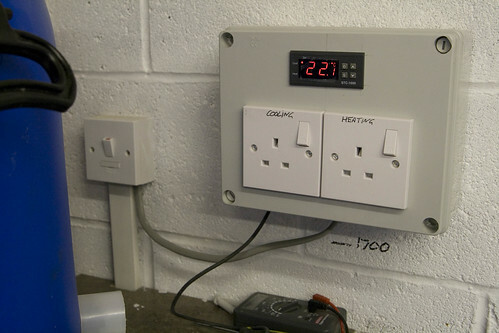 Heating / Cooling, Temperature Controller for HLT or Fermentation Fridge – Using an STC-1000 temperature controller bought from Ebay, I will be controlling 1 Kettle element in my HLT with this to keep the hot liquor at a steady 80c. 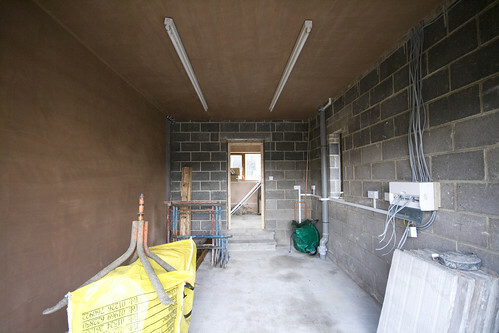 – Brewery Corner with plumbed in Hot & Cold water, Gas and lots of Electric and a waste water outlet if I need it. I’ll have a work bench and my weight training equipment in here too. I will update this list as I make more or alter what I have already made. 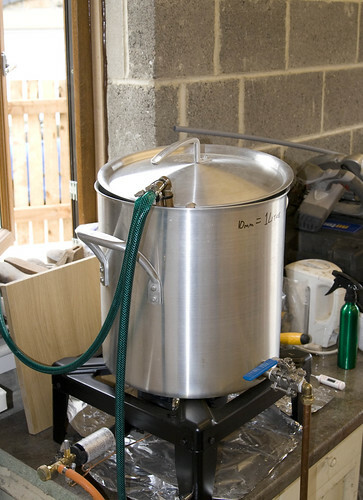 5 Responses to "Brewing Equip"
Hi there, Nice setup!! Your immersion chiller looks sweet running through that jig to seperate the coils. How did you wire up your temperatue controller? I just order the same unit and was considering running a 2kw element off it for the HLT. Wondering if the current will cause damage to the controller? Did you wire it up to a relay? Can we have some new photos of you garage brewery layout ? They are all there in the Brewday posts… somewhere, its just a 3 tier thing.